Only makes sense to do your research and I would do the same. If you can find a NOS kit, that is the perfect solution. Likewise there were in the day some direct fit pattern rod kits from italy that were okay for road bikes, one of those old stock would suit. You are right to hesitate when modifying a crank as once you have done it, you are stuck with and reliant on obtaining another kit the same if it fails in the future. During the 80's and 90's many cranks were modified for racing due to lack of availability of anything else. Everyone had their own ideas and now years on we are left with problems sourcing direct replacements and having to custom build a repairs. Not a problem, but not always straightforward or cheap if you are paying someone for a solution. The crux of our issue is most alternatives to our kits are maybe £300 cheaper at the moment. However that difference may be significantly reduced if you are paying someone to do modification work to fit it. Also repairs of the type Alpha did maybe £250 cheaper, but they are a repair and not the same thing. If you are paying someone to build the crank and do the work properly, the saving of £250 overall in a full engine rebuild is miniscule. It must be remembered that most of these original worn rods are now forty to fifty years old with unknown history. Sometimes however as with Ians 175 at that time the only option available was to repair. Thanks for the kind words regarding our service and products. Only problem is we are sold out of 135mm rods at the moment, we are trying to get another batch into production. Unfortunately trying to justify/schedule this order is proving difficult and best will in the world we will not be back in stock until November. Therefore you have plenty of time to investigate and maybe source an alternative. Happy to help with advice and crank building work whatever your decision. It would be good for others to provide real life information/ solutions. 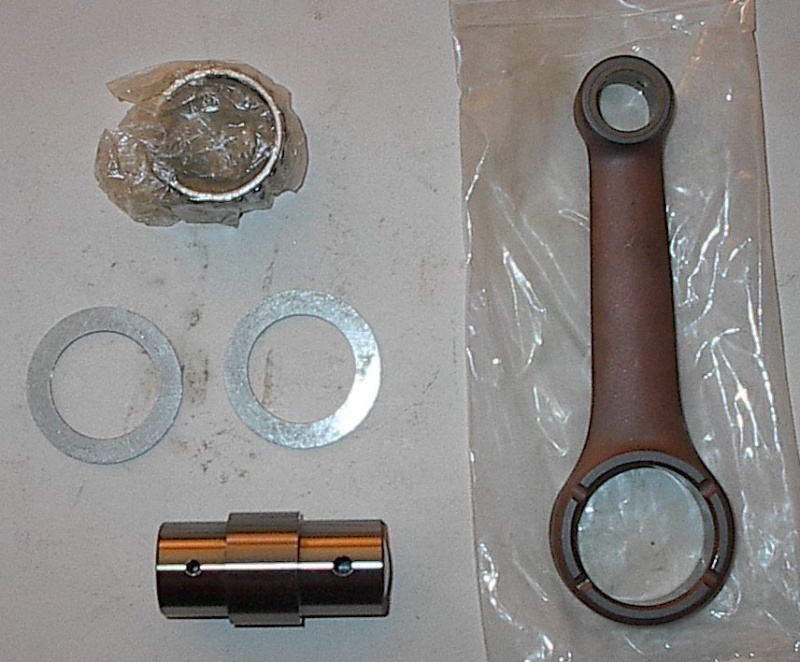 Just last week I was over at Syd's Cycles in Saint Petersburg Florida, USA, talking with Malcom Tunstall, he was showing me their connecting rod, and said he had it in Stock for the singles. You might check with him and see if he has what you need. Syd's sells Falicon knife rods . i posted a picture before but here it is again . Falicon does custom rods but they have a 10 piece minimum . there is also a company in Portugal that does connecting rods Samarin is their name . Not heard of Samarin before, but amazingly I was trawling Ebay last night before I saw this and saw the Yamaha rod below. Couldn't make out the name on the bag in the picture, but now after googling Samarin and seeing there rods, I can see that it is one of theirs. Thanks for the Interesting contact Eldert, have you contacted them regarding specials or small batch production? Shame that they don't cover Ducati singles in their standard catalogue, maybe not many found their way across the border. Maybe worth me contacting them regarding manufacture of road kits and see what they say. Seen the Falicon rods before and they look well made However I'm not really convinced about the aerodynamic worth, certainly against structural strength of an I beam. Not saying there is anything wrong with them in use as I've never tried one and many must have. My gut feeling is sales gimmick...... Carrillo's I have used back in the 90's and mostly they gave nothing but short life and trouble. At the time Elderts recommendation of Yamaha rods instantly solved all the Carrillo woes. Interestingly the nasty side thrusting and oval stretched rod eyes experienced with Carrillo rods has never returned with any other type of rod I have used since. Nigel if i where you i would contact Samarin about the rods or rodsets . they have the 32 X 40 X 18 BE bearing . i am sure there is a demand for roadgoing rodsets for a nice price . nothing wrong with the Arrow rods but there race quality and pricing . a while back i build a 370 nc motocross engine for a guy . i used a 65 dollar Vesrah rodset for a quad from e bay . rod was 131 mm c.t.c . the engine is going into his 3rd season . Curiously,Samarin lists a rod set for "DUCATI 200-250-ROAD-24H 4T" but appears to use a 27mm straight big end pin with a 35mm O.D. big end bearing. This is a bit smaller than the standard Italian Ducati rod (27/32 stepped pin with a 39mm O.D. big end bearing). Samarin, being a Spanish company, may be catering to domestic Mototrans product? 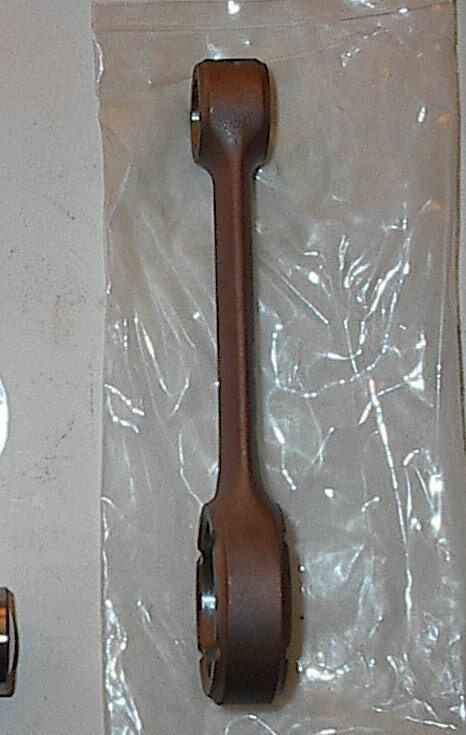 This rod set would apparently fit in a NC crankshaft, the rod length and small end dimensions are identical. the 24 horas engine was based on the 175 engine and crankshaft . therefore the bigend pin is narrower as a Italian narrowcase 250 or 350 pin . Nice when you find something cheap that fits and works. Still sorting my Arrow order, but I will follow up an enquiry to Samarin re road bike kits and see if they are receptive and what they can offer. last year some a guy dropped off a Maz. rodset to press into a 175 crankshaft . this one was even worst did not grind the outsides of the pin . and after measuring the bigend diameter it was 39.09 mm . so way to big . I am in no hurry and can wait to see what Nigel and others can come up with. I am not sure if the conrods.co.uk company would also produce bearings, probably outwith their normal business. Here is another daft question...if we are having conrods manufactured for us in small batches would it be feasible to have a split big end with a white metal bearing?